New review of Literary Stalker from top fiction blogger Lorna ‘LJ’ Cassidy of On The Shelf Reviews. 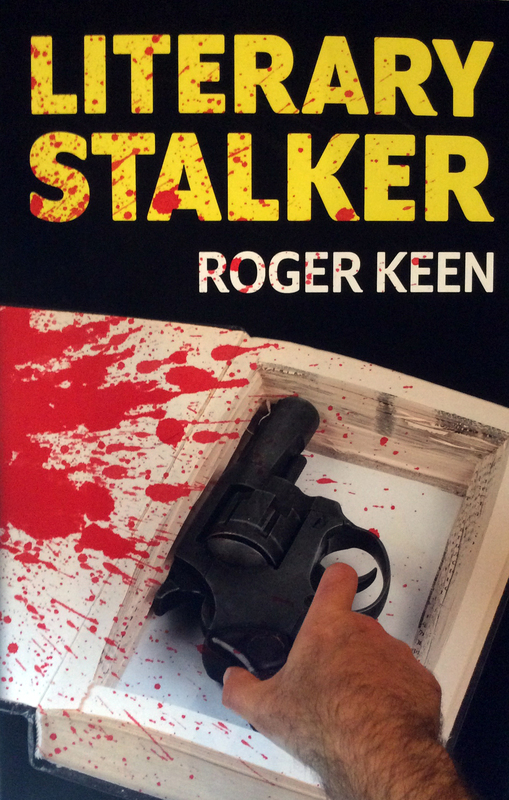 Title: Literary Stalker by Roger Keen. Allen Ginsberg & William Burroughs in later years. This article was adapted from my talk at Breaking Convention 2015, held in London at Greenwich University. It has now been published by the excellent Oak Tree Review, which investigates the many branches of psychedelic culture throughout history, specialising in its manifestations in art and literature. In their activities and writings in the late 1940s and ’50s the Beat writers – principally Jack Kerouac, William Burroughs and Allen Ginsberg – prefigured and influenced the Psychedelic Movement, which came into flowering a generation later. When those epoch-making cultural changes got underway in the ’60s, the Beats were naturally looked upon as mentor figures and elder statesmen, and Timothy Leary, who was of the same age group as them, was happy to recruit and induct them into the cause – through his Harvard program. This produced some unexpected and volatile results – Tim Leary got more than he bargained for – and the end product as regards the three major Beat writers was one spectacular success, one mixed case, and one spectacular failure. It all started in New York in 1943, within the Columbia university scene where the Beats first hooked up. At the time Jack Kerouac was in his early twenties, and already saw himself as a writer. Bill Burroughs was older, in his late twenties, and was known as a raconteur and intellectual, and became a mentor figure to the group. Allen Ginsberg was the kid, still a teenager, and just enrolled at Columbia. There were other key people in the group, such as Lucien Carr, another student, and everybody became fictionalised in Kerouac’s novels – most notably On the Road. At around this same time Burroughs first tried morphine and became an addict, so the events of his first novel Junkie run roughly concurrently to On the Road. In both books, which are strongly autobiographical, there are many references to recreational drug use, and they open a marvellous window onto pre-psychedelic bohemian life – exactly the kind of scene which would develop eventually into the hippie scene.